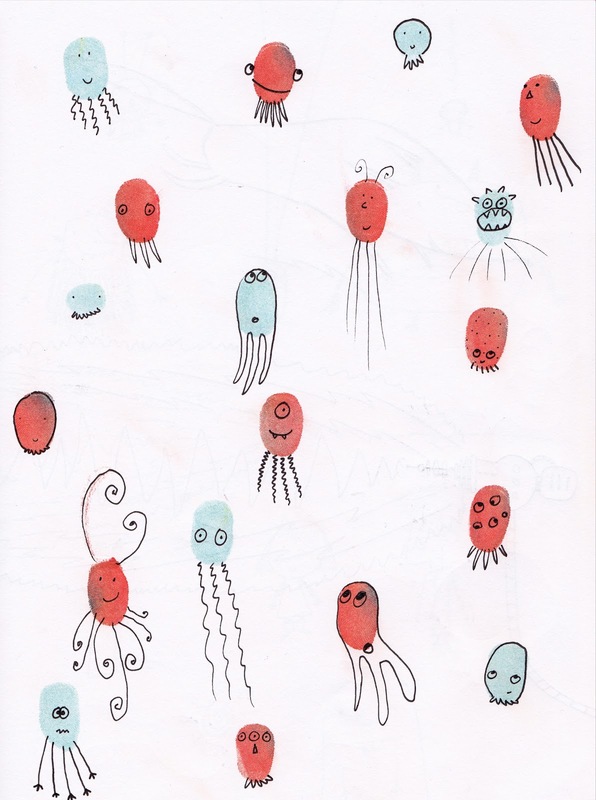 We were making fingerprint creations the other day in Kids Club and these little guys above are what I came up with. 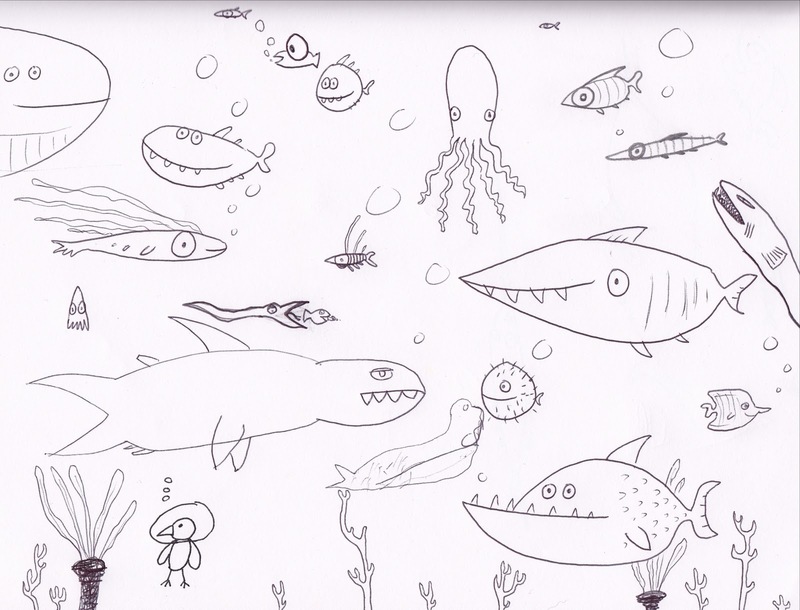 Several Kids Club kids and I made this underwater scene. 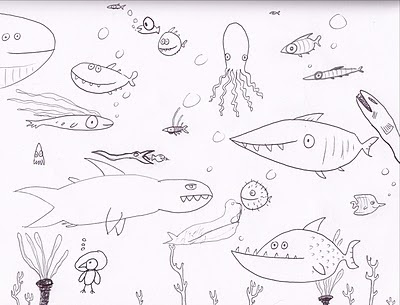 I love the little bird and that fish at the top with an eye as large as the body.